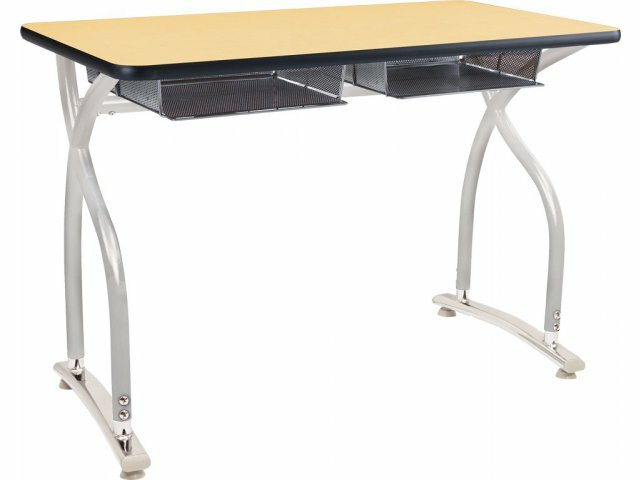 Prep your classroom for the next generation of student desks with the Illustrations V2 Double Classroom Desk from Academia. The curved frame and smart lines produce a look that blends the best of classic classroom furniture with a refreshingly modern twist. The roomy double desktop provides plenty of space for two students to set up their notebooks and textbooks. As for school supply storage, wire-mesh bookboxes and optional backpack hooks accommodate students' personal belongings. The desktop is finished in high-pressure laminate that is both stain and scratch resistant, and is supported by a perpendicular extender brace built to withstand the rigors of everyday use. Additional, superior strength is provided by 14 and 16 gauge steel frames. 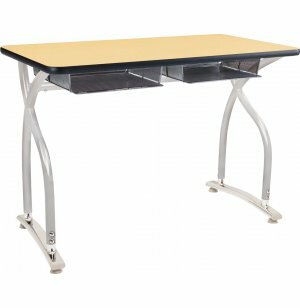 One-inch increment height adjustability allows the Illustration desk to be used for a wide range of grades, and the rich color options add style and class to any classroom décor. 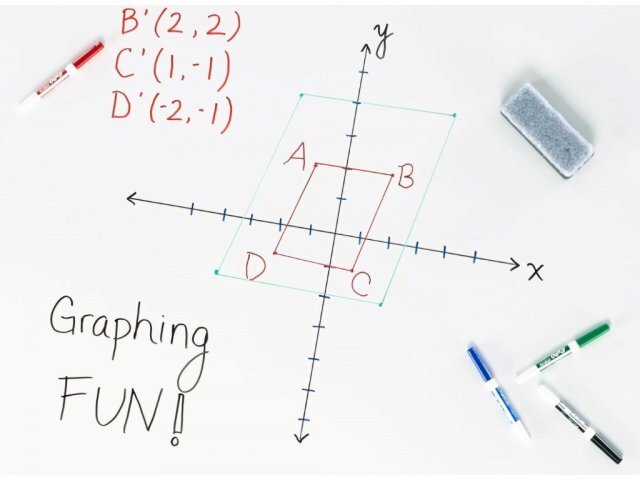 Generous Space: The 24" x 48" desktop space lets two students set up notebooks, textbooks and school supplies comfortably without invading each others space. Total Organization: Wire-mesh bookboxes (standard) and optional backpack hooks help students keep their belongings organized.